The International Energy Agency estimates that 80 percent of projected emissions from the power sector in 2020 are already locked in. The window to limit global warming to less than two degrees C is closing so fast it can be measured in months, a new scientific analysis revealed Sunday. Without putting the brakes on carbon emissions very soon, large parts of Africa, most of Russia and northern China will be two degrees C warmer in less than 10 years. Canada and Alaska will soon follow, the regional study shows. Governments will be meeting in Durban, South Africa starting Nov. 28 to launch the next round of climate treaty negotiations, which so far have failed to ensure their goal of less than a two-degree C increase will be achieved. IPS asked Rogelj if government delegates in Durban ought to set a specific year by which global emissions will peak and then decline to ensure the two-degree C target will be met. “Committing to such targets would ensure that we embark globally on a technologically and economically feasible low-emission path,” Rogelj said. Rogelj and a group of leading experts show in this state-of-the-art analysis that to have a 66-percent or better probability of staying below two degrees C this century, global carbon emissions must peak before 2020. 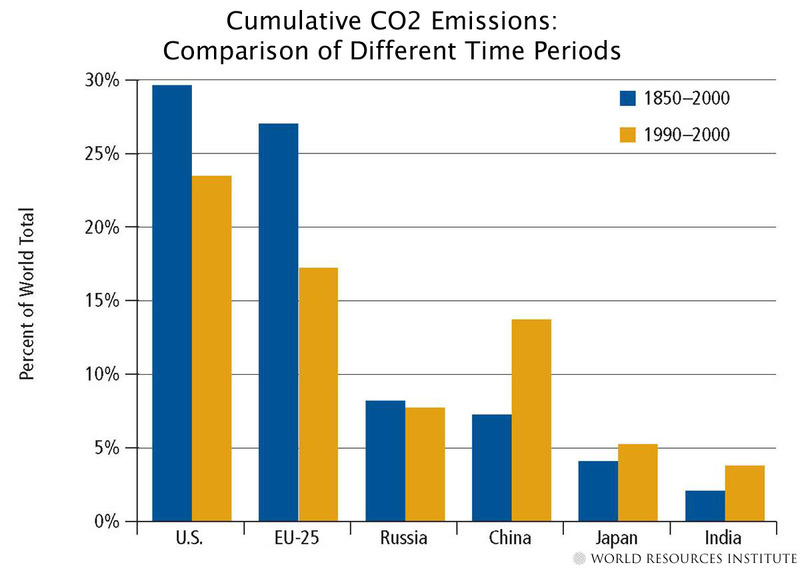 Global emissions ought to be around 44 billion tonnes of CO2 in 2020. That is four billion tonnes (also called gigatonnes, Gt) less than the estimated emissions for 2010. After 2020 emissions must decline rapidly, about two to three percent less each year until they fall to 20 Gt by 2050, according to the computer models. This is an emissions “pathway that will be very challenging to achieve”, Rogelj and colleagues conclude in their study. “Very challenging” is scientist-talk for something that will be extremely difficult to do. The International Energy Agency (IEA) estimated that 80 percent of projected emissions from the power sector in 2020 are already locked in, as they will come from power plants that are currently in place or under construction today. “This significant increase in CO2 emissions and the locking in of future emissions due to infrastructure investments represent a serious setback to our hopes of limiting the global rise in temperature to no more than two degrees C,” said Dr. Fatih Birol, chief economist of the IEA, last May. The heating of the planet from burning fossil fuels is uneven since 70 percent of the planet is water, and most of that is cold water. For various reasons, the Arctic, Canada, Eurasia and parts of Africa are warming faster and will be substantially warmer now and in the coming decades. It also important to understand that returning the planet to pre-global warming temperatures is very unlikely. Another new re-analysis also published in Nature Climate Change Sunday puts some dates on when much of the Northern Hemisphere and parts of Africa will cross the two degrees of warming threshold. Without major emission reductions, the African Sahel, including the Horn of Africa, along with northern Eurasia and the Arctic will cross that threshold very soon – between 2020 and 2030 – according to a study led by Manoj Joshi of the University of Reading in the United Kingdom. They also found that by the time a child born today reaches 50 years old, it will be at least two degrees warmer everywhere except the oceans. Even if carbon emissions cannot be cut fast enough to avoid two degrees C of warming in some parts of the world, urgent action will buy those regions valuable time – a decade or two – so they will have time to adapt, assuming they can. Although two degrees C seems like a small amount, it is akin to a person running a high fever, with all kinds of consequences for the human body. On planet Earth, that amount of warming has serious consequences for food, water and biodiversity. It will guarantee more and stronger extreme weather events, including droughts and flooding. Two degrees C puts humanity on a new hotter, stormier planet that is less compatible with human survival. As for staying below 1.5 degrees C, as African nations, Pacific Island states and others believe is essential for survival, it may already be too late. In all the 193 scenarios examined by Rogelj et al, there were only two that suggest is it possible to stay below 1.5 C during this century. And that includes heavy use of bioenergy with carbon capture and sequestration. More extreme measures, such as a technical study called The Energy Report by Ecofys, a leading energy consultancy in the Netherlands that developed a plan to shift the world to 100-percent renewable energy by 2050, were not included, said Rogelj. “The [two] scenarios we analyse indicate it would be technologically and economically possible to follow such a future path (1.5 degrees C). They do not take into account the fact that there could be political and societal barriers,” he said. 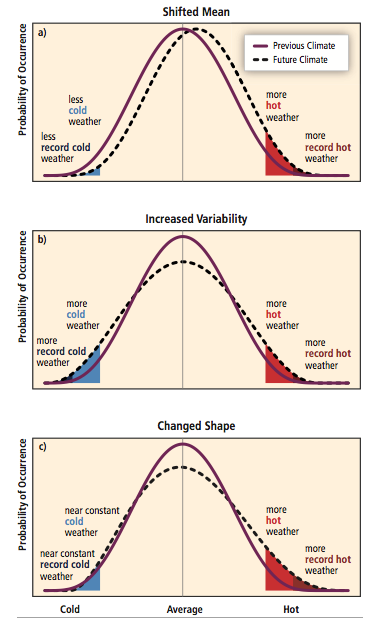 The two-degree C window, not to mention the 1.5 C window, is closing faster than most realise. There are less than 100 months left for governments, industry and the public to reduce global emissions by at least four Gt. It will be very difficult but it can be done, Rogelj et al note in their study. Starting sooner is far easier than later. The Durban climate talks may be the last chance for governments to do what is necessary to keep their promise of less than two degrees. The Rogelj study concludes with an uncharacteristically blunt warning to governments and the public. First published as Durban May Be Last Chance to Stabilise Climate Under Two Degrees – IPS ipsnews.net. Without urgent action to curb greenhouse gas emissions, the Earth will become warmer by 2050 than at anytime in the last 10,000 years.